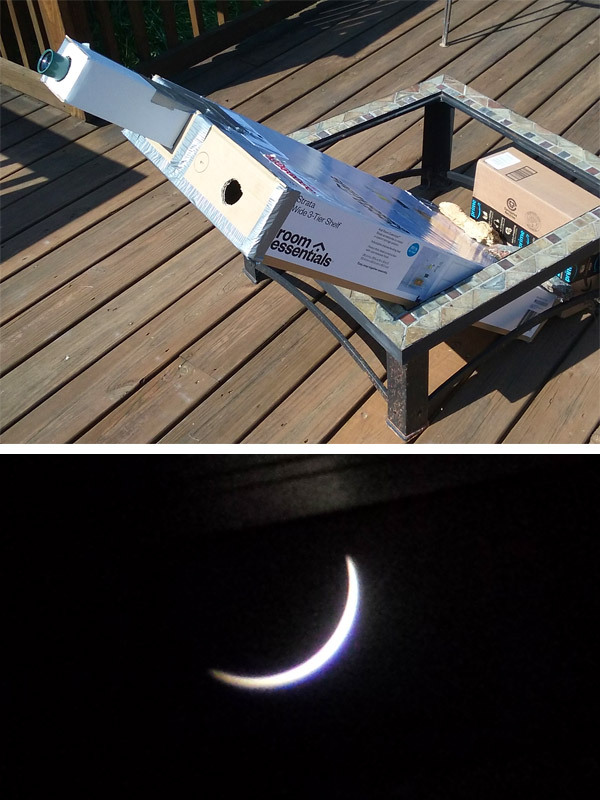 August 2017 - Last month's DIY, solar eclipse viewer/projector saved the day (because everyplace was sold out of glasses). Uses my 50-year old cub scout telescope, turned upside down. The image at the bottom of the box (lower photo) was a lot sharper than it appeared here with my phone's camera. And we ended up cutting a second eye hole on top (still just an outline when the upper photo was taken) to make it a 2-person experience.